As I’ve gotten older I find my enthusiasm and excitement for hosting events something that steadily increases with fervor. Be it in a carefully selected venue or in the comfort of my own home, there is something utterly exhilarating about the entire process and experience. Of course at times it can be stressful and things have a habit of going awry. For example you forget to purchase the Pecorino (but never the Pinot Grigio), or you overcook the roast and can’t find anything to wear. Personally it wouldn’t be a proper soiree without such nuances. But such things remain long forgotten after a night of frivolity and socialising with your besties. Those moments of panic and despair tend to dissipate at the end of the night and are replaced by the countless memories made. Best of all there’s that deliciously overwhelming sense of accomplishment and triumph. So how does one host the ultimate dinner party? Well I generally start with a rule of thumb; treat your guests as you yourself wish to be treated. I find that to be pivotal as well as taking the time to properly organise yourself. Prepare in advance and do your research. The internet has countless sources for inspiration, both in terms of decor and food; my favourite being Pinterest. And while cascading ceiling fauna and entire walls covered in florals is seemingly out of budget there are other aspects to focus on which inevitably garner more important attention. Invite your guests. Take the time and effort to properly request their attendance. Sending a group text is obviously less time consuming but it also lacks originality and personalisation. In an age were we’ve lost the art of handwritten letters and notes such things really speak volumes. Get creative and try online services that have pre-made invitations like Paperless Print. With copious design selections and options for either printed versions or online there’s no excuse in being apathetic. Organise your ensemble. Because the last thing one needs to preoccupy themselves with on the night is what to wear. Plan your theme. Will it be a winter wonderland in tones of grey and white, lavished with baby’s breath or something more monochrome and minimal. An eclectic mix of crockery and cushions as seating for a more bohemian feel perhaps? 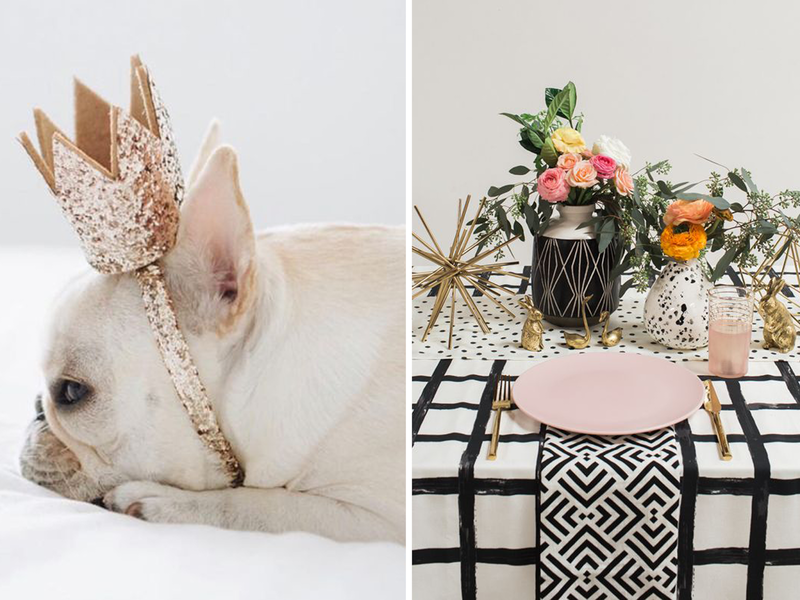 Set the tone with fanciful decor and an Instagrammable table setting. Everyone (yourself included) appreciates the visual appeal of such things. Arrange the menu accordingly. Think out your menu and take into consideration the dietary requirements and dislikes of those invited. What may feel like an inconvenience will be recognized and greatly appreciated by your guest. As someone who does not eat seafood I can’t tell you enough how disheartening it is to arrive to an event and find fairly limited options. Also ensure you have one or two plates for your guests to pick at prior to the actual meal as they mingle about. Same goes for drinks, alcoholic and not providing more than is adequate is never a bad thing. Make it personal with personalised name cards or a little gift for each guest. Comical photo booth masks work a treat around the table and make for great conversation starters or for breaking up awkward silences.